Past Futures, Present Futures, 2012. Storefront for Art and Architecture. Photo by Naho Kubota. Do you have an idea for a project that promotes alternative ideas in art and architecture? 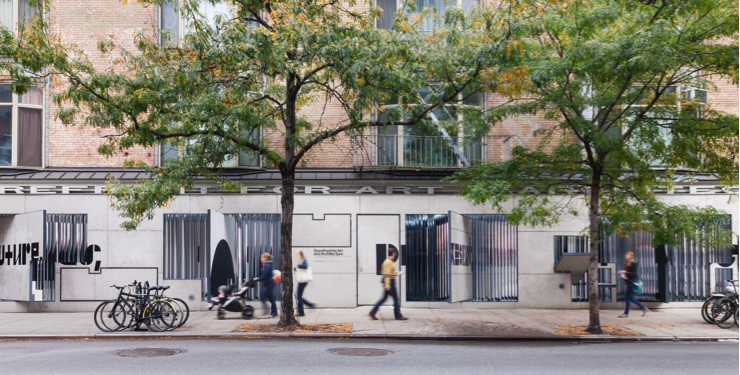 This year, Storefront will sponsor twenty independent architecture and design projects through NYSCA. NYSCA is looking for projects that are innovative in nature and emphasize the artistry of design excellence. Projects may lead to the creation of design prototypes, explore new technology that impacts design, research a topic in design or architectural history, or engage in critical or theoretical analyses. Storefront will sponsor up to 20 projects for this year’s NYSCA grants. Priority will be given to applications that align with Storefront’s organizational mission to advance innovative and critical positions that go beyond disciplinary and ideological boundaries. To read more information, see page 48 of NYSCA’s funding guidelines. 1. Complete the initial application form and send to Alexandra Axiotis, Development and Outreach Associate at Storefront, by emailing aa@storefrontnews.org with the subject line “NYSCA Independent Project Application Request” no later than midnight on March 17, 2016. 2. If you are selected as one of the 20 projects sponsored by Storefront, you will be asked to submit a full project proposal no later than midnight on March 24, 2016. 3. If you are selected, you may be asked to submit additional application information before March 30, 2016. By submitting a full application form, you agree to submit any additional application materials by Storefront by this date. Note that individuals or teams may not apply for another NYSCA project with another team or with another fiscal sponsor organization. If individuals appear on more than one request, both requests will be ineligible for support. Grants are for individuals or groups, and applicants must be New York State residents at the time of application and while the project is being implemented. Student and faculty work that serves as part of a course curriculum is ineligible. NYSCA Independent Project Grants cannot be used to support past work or current client work. They are intended to support new ideas and explorations that further the evolution of relevant design fields. Therefore, projects must take place between January 2017 and December 2017. For additional information, visit www.arts.ny.gov.